There are any number of ways in which you can remove that unwanted hair from your body. 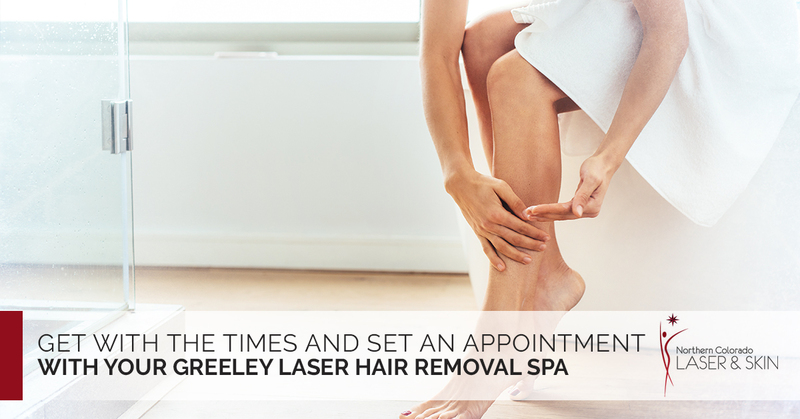 But if you are still shaving, plucking or waxing, you need to get with the times and set an appointment with your Greeley laser hair removal spa. Look, we post an articles about laser hair removal often because there are still people out there who just can’t seem to get over the old ways of hair removal. Stop spending all the money and enduring the pain of traditional methods of hair removal, utilize laser treatments now. Take a moment to read the reasons you need to look into laser hair removal. When you start laser hair removal treatment, you only have to go for a few times and then it’s all over. Every time you stop in for a treatment, you can expect to lose around 12 percent of your unwanted hair, depending on several factors of course. But consider this; once that unwanted hair is gone, you are done! When you wax, you can’t shave between sessions because there needs to be a certain amount of hair for the wax to grab hold of. When you do laser hair removal, it is quite fine to shave between sessions. Let’s face it, plucking hurts, shaving can hurt and waxing certainly is a painful procedure, but laser hair removal is a painless process. Waxing is expensive, and over time, you will wind up paying thousands of dollars keeping your legs silky smooth. Laser hair removal will save you money in the long run. So get with the program and give Northern Colorado Laser and Skin a call.